GetThere is a web-based travel management solution designed to help both travel managers and travelers manage complex travel programs. 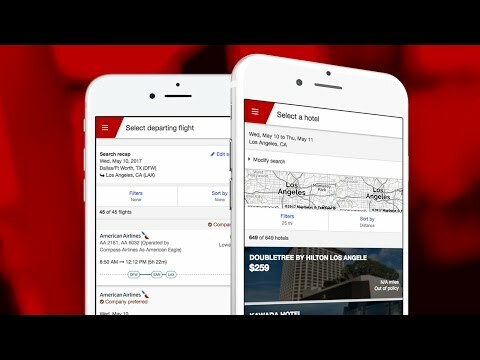 The platform offers a modern online booking system to streamline corporate travel, and is fully optimized for tablet, desktop and mobile devices. GetThere supports global purchasing capabilities with all GDS, as well as non-GDS web content. With this app, travelers can access Saber brand fares and see brand attributes during their purchases, including restrictions. Once setup, the hotel's website allows travelers to search for options such as leisure travel sites. Travelers can even search and compare several vehicles and select a one-way/roundtrip, car type, different drop-off locations, as well as other special options. GetThere is also integrated with TMC offered solutions, including traveler profile management tools, meeting, banking and technology providers, mid/back-office systems and multiple travel, expense and ERP platforms. GetThere is available in 16 user-selected languages. GetThere is a powerful tool, with easy integration between travel booking and expense management. Custom policy management is also robust, allowing you to exercise as much or as little control over your travel program as desired. The platform is a little dated visually, but not enough that it impacts the overall experience. Contact Sabre for pricing information. • GetThere offers an intuitive user interface that requires little or no training. • Allows travel managers to focus on strategic objectives as it automates basic travel reservations, as well as the meeting planning process. • Forecasting and extensive tools enable users to view and analyze global travel and meetings spend. • Travelers have access to Sabre Branded fares and can also view brand attributes through the shopping experience. • Once configured, the platform's web page allows travelers to search options including leisure travel sites. Below are some frequently asked questions for GetThere. Q. What type of pricing plans does GetThere offer? Q. Who are the typical users of GetThere? Q. What languages does GetThere support? Q. Does GetThere support mobile devices? Q. Does GetThere offer an API? No, GetThere does not have an API available. Q. What other apps does GetThere integrate with? Q. What level of support does GetThere offer?